There is nothing more exciting than the excitement & atmosphere of being in the theatre with all the drama, colour and especially the show it's self. Tickets available at major and smaller theatres across the UK. London's West End is one of the biggest and best areas in the city for the buzzing night life and the excitement by the shows that are performed on a daily basis in the theatres. London is home to all the big names in musicals & plays including Dirty Dancing, The Lion King, The Woman In Black and many more. There is nothing more exciting than the excitement & atmosphere of being in the theatre with all the drama, colour and especially the show it's self. 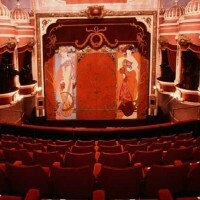 We can also book tickets into any of the smaller theatres across the UK also. A guaranteed great night out for you and mates. Why not combine this with a nice Evening Meal out & a few drinks in a restaurant of your choice or a VIP Booth Hire & Club Entry.